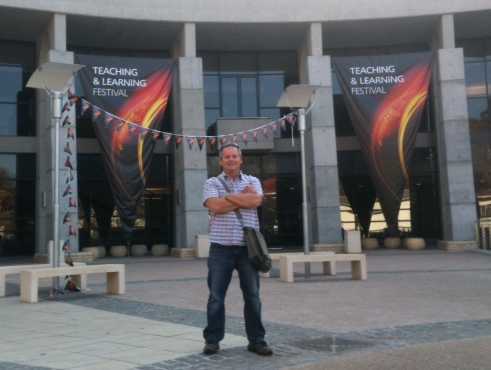 My colleagues and I are currently in Pretoria, South Africa, to attend Unisa’s Teaching and Learning Festival 2011. We have been asked to put on a week of workshops, due to start tomorrow (Monday) morning. Last Thursday and Friday we attended the festival symposium, which had excellent keynote papers from George Siemens, Gilly Salmon, Catherina Ngugi and Ormond Simpson. The Unisa delegates appeared to take a lot from these talks, judging from the questions raised and comments made in the concluding panel session. Like so many HE institutions, Unisa, an open distance learning university, is facing a crossroads. Burgeoning student numbers (374,000 for 2011) has meant current structures are no longer able to cope. It is hoped new technology and new approaches may provide the means by which the staff can continue to offer an education with a national and international reputation (Nelson Mandela is a Unisa graduate). BDRA may pay a small part in this change. Perhaps the memory of the cynical and depressing summer riots in the UK has coloured my thinking, but I feel South Africa is going places. The people seem pragmatic about the significant current problems (primarily based around inequality and poverty) yet optimistic about the future. And there’s no question about the talent available here. 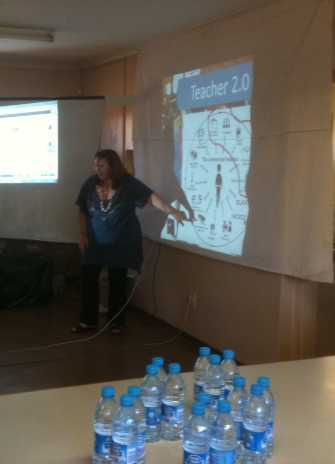 On Saturday, Gabi and I, with mercurial South African educational technologist Maggie Verster, delivered a workshop on using OERs and social media for teaching and learning at Kliptown Secondary School in Soweto. The participants, both teachers and schoolchildren, were engaged, articulate and, especially in the case of the latter, more than capable of harnessing the new opportunities for social interaction and learning (accessed mainly through cell phones) offered by technology. The Representative Council of Learners and workshop participants. 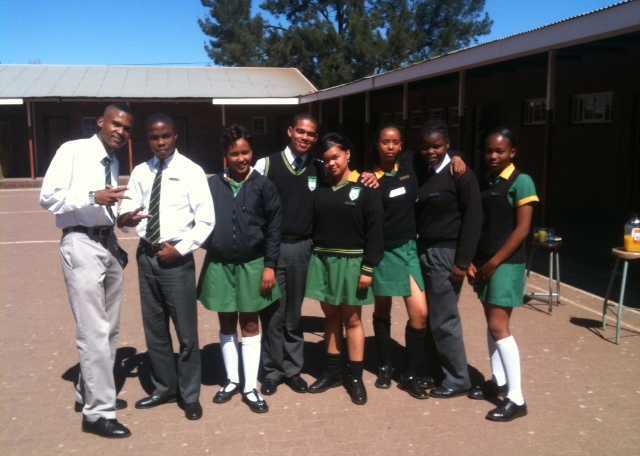 Future Unisa graduates? We’ve got a very hard week ahead, but I know we’re all looking forward to it. Follow us and everyone else at the festival on Twitter: #unisa2011. PELICANS (Participatory E-Learning: Interactivity, Community And Networking Spaces) is a recent addition to the Media Zoo at Leicester. PELICANS is a pilot research project that investigates the level of use and participation by university students in web 2.0 platforms as part of their formal and informal learning in Higher Education (HE). The research project is funded by the College of Social Science Research Development Fund. Through interviews, questionnaires and simulated recall and observations, the project aims is to identify HE students’ patterns of web use, and their level of web literacy, awareness and skills in using online information resources. PELICANS will propose recommendations on ways of addressing skills gaps in terms of web literacy, and develop guidelines for supporting the further development of students’ competencies with on-line literacy. 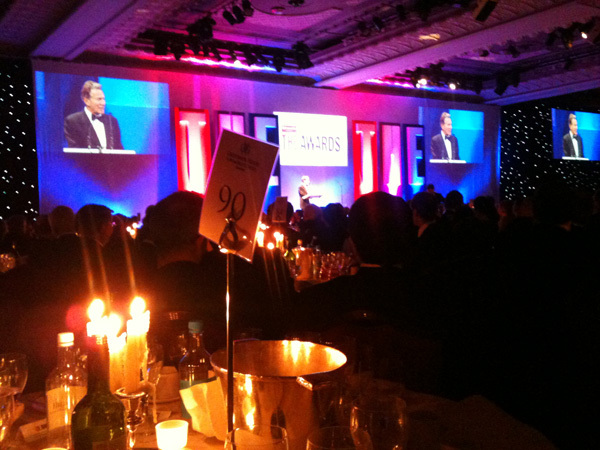 Last Thursday, Gilly, Ale, Jai and I attended the glittering Times Higher Education Awards in Grosvenor House, Park Lane, London. The Media Zoo had been shortlisted under Outstanding ICT Initiative of the Year. We didn’t win, and I was surprised at just how disapointed I was. It appeared that we had come so close and then left with nothing. But after a weekend spent at a Final Cut Pro workshop – thereby having little time to dwell on this result – I realise now just how much credit the department can take from being nominated in the first place. The Media Zoo is a very important part of what we do here, and to have this recognised in these awards is a huge achievement. Of course, it’s always better to win, but solace can be taken from the fact that the nomination recognises the role the Zoo plays both here at the University and to the sector generally. 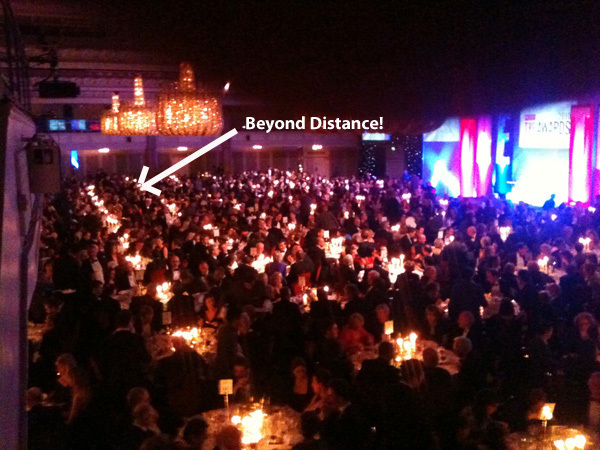 I think this is where we were sitting! 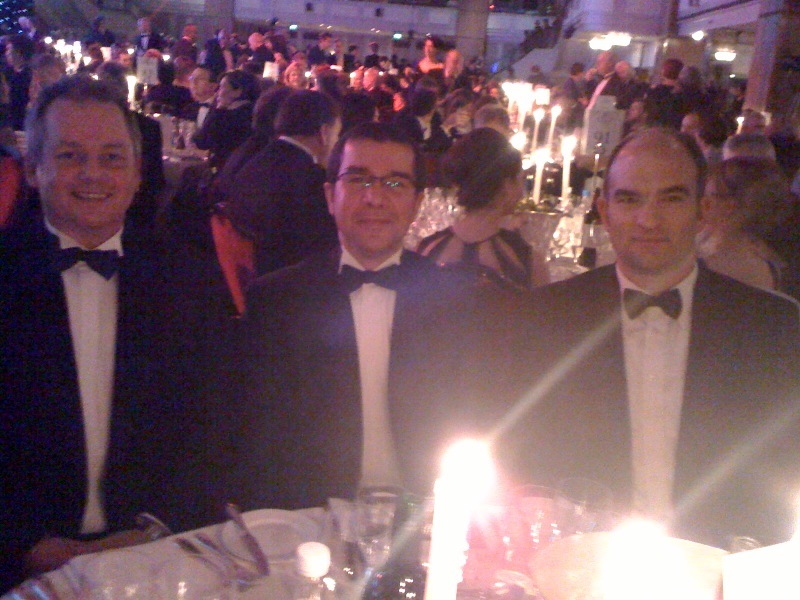 So congratulations to worthy winners ChemLabS at Bristol, and look out for the Media Zoo in the 2011 nominations! Google has been in the news recently. When they sent cars around the UK to take photos for the rather handy Street View project, not only did they make a note of everybody’s wireless network, but, it seems, they stored some of the data being sent across the networks as well. Data like passwords and emails. 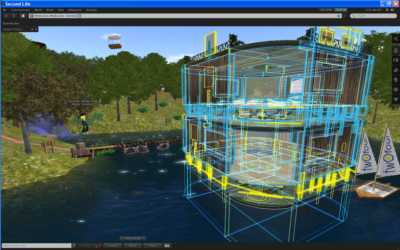 Yesterday, something unusual happened in our virtual Media Zoo that brought this to mind. Later this year, we will be running our second major study for the SWIFT project. This will see dozens of students use a virtual genetics lab to add to their learning of practical laboratory skills. 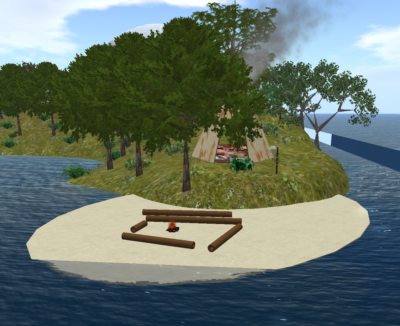 Recently, I have been creating a self-directed training area where our participants will be able to go to learn the basics of participating in this virtual world – provided in this case by Second Life. I wanted some sort of path, to guide visitors through a series of tasks, and ended up buying a garden maze for 25 linden Dollars (about 6p here, or 10 US cents). I set that out with a number of information boards, each one describing a particular skill, such as walking, talking to others, putting on a lab coat etc., the idea being to take the visitor through all the skills they will need to participate in the study. Yesterday, I was putting the finishing touches on this induction area, and needed to move the maze half a pace East. Except I couldn’t edit the maze. 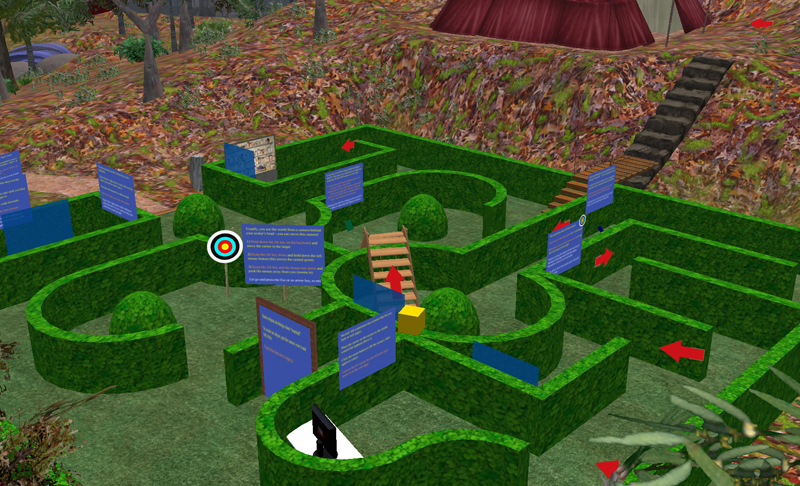 On further inspection, it seemed I no longer owned the maze – it now belonged to some random avatar! How strange. How come? So I bought another maze and “returned” the original to its new owner, then set about figuring out what went wrong. It seems that the maker of this maze set it up rather strangely. Firstly – and this is normal enough – the maze I bought was copy protected: I could give it away or sell it if I wished, but my one copy would be transferred to the new owner and I would lose it. Secondly – and this is the strange part –my maze had been set to “For Sale” with a price of zero dollars. (Usually, the maker leaves this field blank for the new owner to set if they ever wish to resell it). So, my maze was on sale for free without me knowing it, and it seems that some enterprising avatar had snapped it up! Well, so, who is to blame? Is it a) the maze-maker for leaving their product set to allow anyone to walk off with it, b) myself for not checking every setting on everything I purchase, or c) the other avatar for taking something that was being given away? Then I remembered Google. They took information that was left lying around because the security wasn’t switched on, on people’s wireless networks – like pasting pages from a personal diary on your garden gate for all to see. So, same question. Who’s at fault? Is it a) the manufacturer of the wifi boxes, b) the owner who’s using the box or c) Google for taking something that was being given away? I shall be bold here and supply an answer. I don’t think you can blame Google or the visiting avatar. It seems reasonable to me that if something is being given away, and there’s no apparent harm to be done in taking it, and it’s not being taken for any malicious purpose, then by all means take it. (Of course, it has to be legal too, and this is where Google may possibly have a problem). And I don’t think you can blame the owner. When you buy something, you expect it to just work. Safely. No, I think it’s down to the manufacturer to think about how their customers will use the object and do their best to make it usable. How many people buy something and want anybody to be able to buy it for free? How many people buy a wifi box and want the whole world to use it? The same principle needs to apply to our virtual genetics lab. As the “manufacturer”, we have made a lot of effort to ensure that the lab is realistic, effective, and easy to use. November 24th will be the big day, when we let our student volunteers loose in the lab, and find out just how successful we have been.